Certified wood is lumber that has been sustainably harvested, processed and handled, with the least impact to the environment possible. 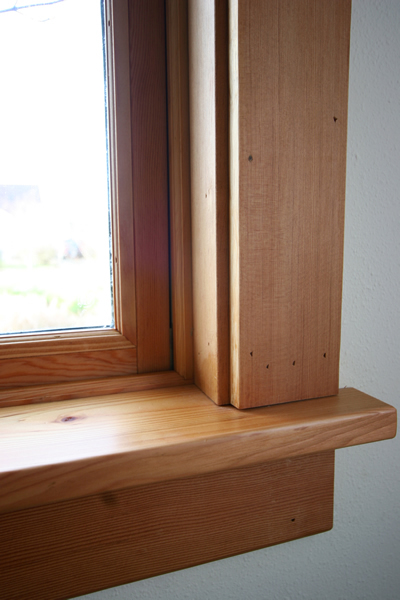 There are a few different certification systems in place that certify lumber and we use the one which has the best reputation for true environmental sustainability. Lack of availability has made the use of certified lumber limited or non-existent by most builders. So to help meet our commitment to the exclusive use of certified framing lumber, even for small projects, we have worked to help influence the primary lumber supplier for contractors in Bellingham to carry this wood. Beginning in January 2007 Hawk Meadow Homecraft will use this certified lumber as the wood of choice for all our basic framing. Other certified lumber such as sheet goods, are available by special order. Your project will be priced accordingly. 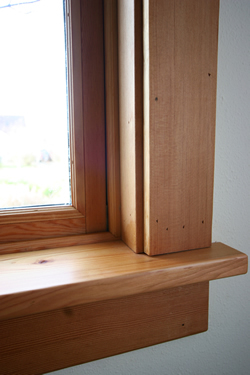 The window sills for the trim job in the photo to the right came from certified lumber.